Many university networks allow or require static IP reservations. These reservations are configured on the network's DHCP servers. Therefore, it is not necessary, and not recommended to configure individual computers to use static IPs. 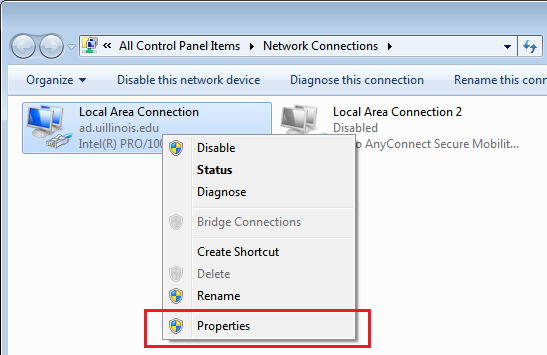 Follow the steps below to configure Windows to automatically pick up its reserved IP. If your computer does not have network access after following these steps, please contact your local network or system administrator. For those in the Engineering college, please contact engrit-help@illinois.edu. 1) Open the Start Menu (hit the Windows key). 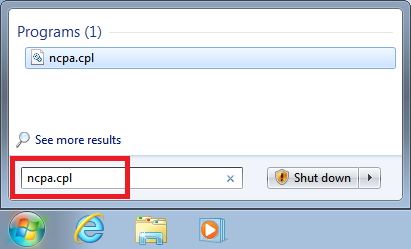 2) Type "ncpa.cpl" and hit Enter. The Network Connections window should appear. 3) Find your Local Area Connection (Ethernet Connection). Right click it and select "Properties" from the context menu. A small Properties window should appear. 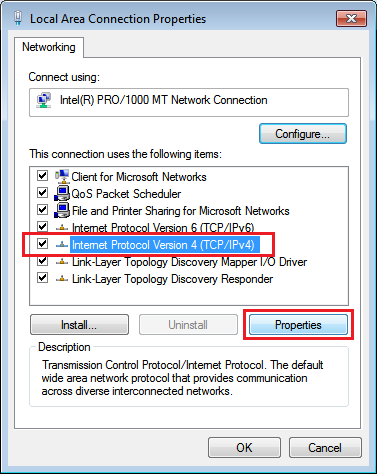 4) In the list, find "Internet Protocol Version 4 (TCP/IPv4)". Select it and click the "Properties" button. Another small Properties window should appear. 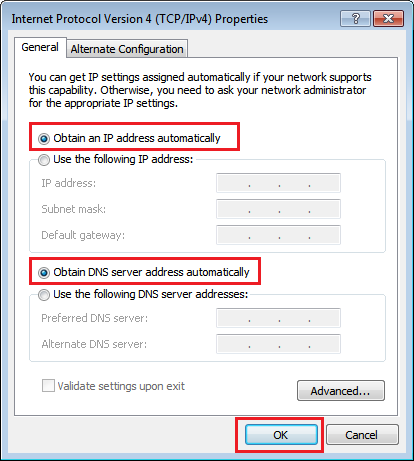 5) Select both the "Obtain an IP address automatically" and "Obtain DNS server address automatically" radio buttons. 8) Your Local Area/Ethernet Connection should attempt to refresh itself and pull your automatic IP. 9) You may need to reboot the computer before it will pull your automatic IP.